Welcome to Part 1 of our new series on the best of each land at the Disneyland Resort! 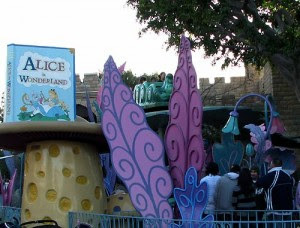 Today we're focusing on the happiest land of all, Fantasyland. Really, everything. From entering through Sleeping Beauty Castle, to experiencing so many rides that were designed by Walt himself and present on opening day, this land is the classic image most people think of when they think of Disneyland. 100% Alice in Wonderland! The refurbishment done a couple of years ago to include digital images blends beautifully with the bright colors of the physical elements inside the ride. Not to mention the caterpillar ride vehicles and the journey outside on a leaf. There are so many beautiful pieces to this ride, it's not hard to see why it consistently has a 30-40 minute wait. It has to be Storybookland. This is the best spot to see a lot of love for the classic Disney movies. While there have been some updates over the years (adding pieces from Aladdin, the Little Mermaid, and Frozen, for example), this is mostly the exact same as when it originally opened. And think of all of the work that goes into keeping all of those little bonsai trees perfectly manicured! That's Disney's attention to detail at its finest. The only down side is that the line moves slowly and has little to no shade. So slap on some sunscreen, listen to the music from the nearby Mad Tea Party, and wait to enjoy a true classic! 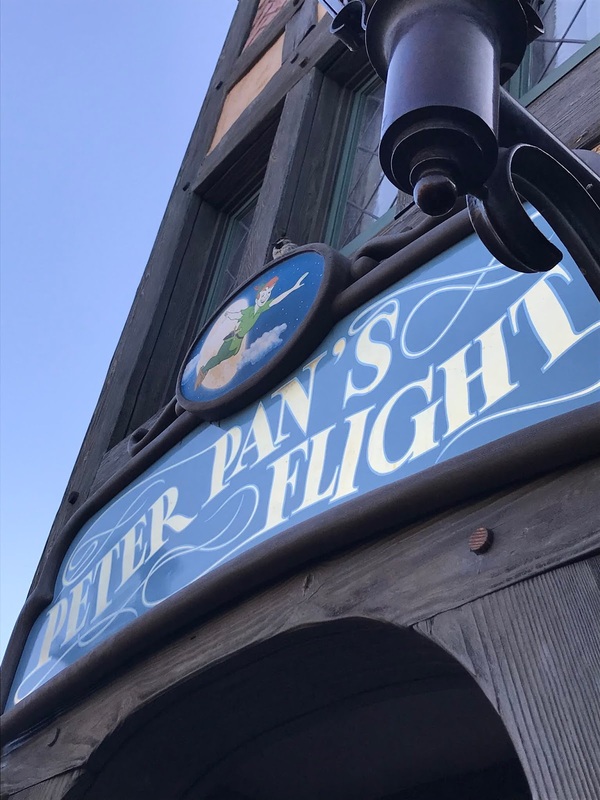 Ok, before anyone calls me out on this one, I know that the Fantasy Faire area looks more like it's technically on Main Street since its before you enter the Castle, BUT Disneyland's official dining list calls it out as being in Fantasyland, so that's what I'm going with. 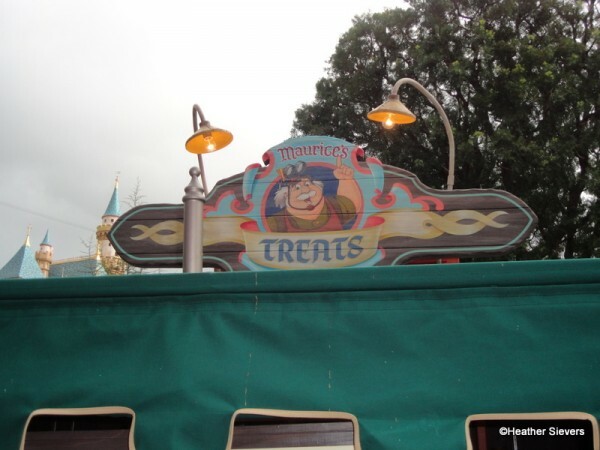 Buried in Fantasy Faire (which can be easy to miss if you don't have kids with an interest in meeting princesses) is a little cart called Maurice's Treats. They serve two things: the "twist" (basically a long twisted pastry in strawberry, cheddar garlic, or gray stuff) and the "freeze" (a frozen drink available in Boysen Apple and Red Rose Lemonade flavors). Delicious all around without very long wait times. This one is a little tough because food is so subjective and we all have such different tastes. 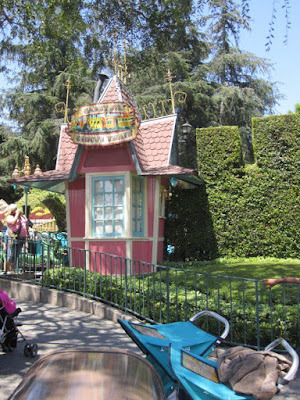 But if someone were to come up to me and ask, "What should I get for lunch in Fantasyland?" 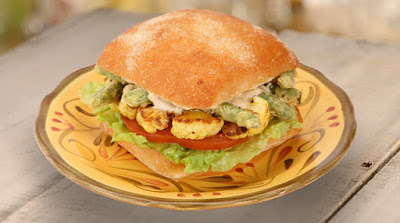 I'd for sure recommend the Cauliflower Sandwich at the Red Rose Taverne. Its so different from anything else you'll find in the parks and is completely delicious! Don't forget the side of pomme frites. To quote Lumiere, "Try the gray stuff, its delicious. Don't believe me? Ask the dishes!" The "gray stuff" is large enough to share, sweet without feeling like you're sucking on a sugar packet, and not horribly expensive at $5.49. 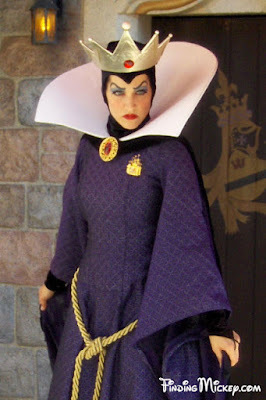 Find the Wicked Queen, if you can! She wanders around Fantasyland, mostly the pathway between Alice in Wonderland and the Matterhorn, but doesn't stop to talk to guests for too long. My kids were lucky enough to catch her on our last visit. She stared at them with a completely straight face while singing their autograph book and asked them which autograph is their favorite. She just kept staring at them when they didn't say it was her, until my dad jumped in and said "Yours, your majesty!" She looked up and said "That's better. I'm going to keep walking now," and left as quickly as she'd come. Hilarious! Peter Pan is a magical and beautiful ride, but it's often hard to justify a 50 minute wait for a 90 second ride. If you have Magic Morning on your park tickets, head there first! Lots of other guests will do the same thing, but you can shave 35 minutes off your wait time, making the ride feel much more worth it. Storybook land is my favorite area in Fantasyland. So many stories in a relatively small area. Everything meticulously maintained. If you are lucky, you may even see a giant duck terrorizing the tiny villagers.